Can Warner and Smith make a successful return to the Australian team? The Australian team looks to have steadied the ship and they could not have asked for a better time to make a comeback, with the ICC World Cup 2019 just a few months away. Australia's victory over India in the recently concluded ODI series was their first bilateral ODI series win since 2017. This time around they didn't just win a series but came back from a 2-0 deficit against a formidable Indian side that many consider favourites for the World Cup. The series win shows that this young Aussie squad is ready to put on a stellar performance at the biggest stage of them all. Moreover, the IPL will provide opportunities to many other Aussies to try and make it into the squad. This Aaron Finch led team already has a good young core and any sort of addition will only make them stronger. The likes of D'Arcy Short, Billy Stanlake and others have a chance to showcase their talent in the IPL and cement their spot in the World Cup squad. The IPL will also witness the return of two legendary batsmen, who, a year ago, ruled the cricketing world and were the reason for Australia's dominance. 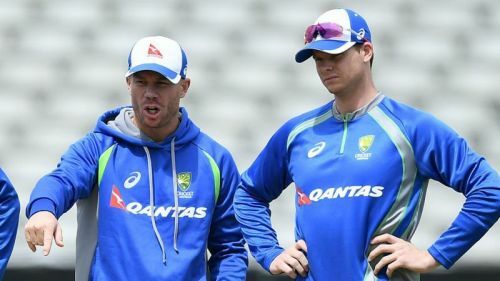 Steve Smith and David Warner have played in other T20 tournaments since their ban in 2018, but the IPL is a different beast altogether and this is the best possible time for them to get their flair and form back as they prepare for the World Cup. However, it remains to be seen whom they can replace in Australia's playing XI. This will surely be a big headache for the selection committee. Warner and Smith can replace anyone in any squad, but with the World Cup representing their return to international cricket, it remains to be seen if they are truly ready to make their mark. Replacing in-form players like Khawaja and co. with Smith and Warner can only be done if the selectors truly feel that the duo is ready and have regained their touch. However, what works in their favour is the fact that they can observe the duo in the IPL and analyse their performances and fitness levels. As we all know, players who can perform well in the IPL can perform on any stage. The IPL will serve as perfect preparation for the Australian team and hopefully, they have their duo back and firing on all cylinders.